Every child should be homeschooled. I don’t mean children should not go to school. They should do that too, but parents must also be an active part of the education process. You cannot ship your children off every day and expect them to come back smarter with no effort on your part. This goes extra for parents of gifted students. Your kid has exceptional talents but also exceptional needs. You can’t assume they are being met. How can you be an engaged part of the educational process for your highly capable student? In private or public school, you are the customer and the school is the service provider. Are you getting the product you deserve? Establish a relationship with your kid’s teacher. Although lines of communication exist, they are often neglected. Start with back-to-school days and conferences. Plan ahead and ask good questions. Let the teacher know you are an inquisitive and active parent. Do your part by volunteering for school events and offering to help in the class. When you have concerns over homework, curriculum or the challenge level of your kid’s coursework, politely and patiently ask by email. You deserve a good response. If you are not getting acceptable feedback, do what you would do in a work situation. After bringing a problem to your direct manager, take it a step higher. Address your concerns to a school counselor. Teaching is a team sport and your teacher may need help. Let a counsellor escalate your request for you. What clubs does your school offer? These are all learning and leadership opportunities. Find something your student is interested in, from chess to debate to theater. Maybe it’s not in school. Seek out a robotics group, dance troop or writing club. It may be local. It may be online. Find some kids that are doing smart things outside the regular books and pencils world. Perhaps it’s not even a club yet. What students in your kid’s circle challenge him or her to think and create? Set them on a project together. Motivating your student to work harder outside of school might be tough. Maybe it is a lack of interest. If so, pick a new field. Maybe it’s a lack of incentive. Let them know it is something you expect of them and negotiate a proper reward. Online, new or classic, games are a fun way to learn and interact. Yet you can dump plenty of money on games that will not hold interest longer than an hour. Check out the National Association for Gifted Children or MENSA for tips on what smart games will be played daily. Some games, like chess and cards, never go out of style. A deck of 52 cards opens the doors to a million games. Classics like pinochle, euchre, bridge and poker require you to not only know the cards but also predict the behavior of the other players. Why not make up your own? With some paper and imagination, smart kids can build their own board or card games. If they are not satisfied with what’s on the shelf, challenge them to build a better one. Academics can be dry and theoretical. 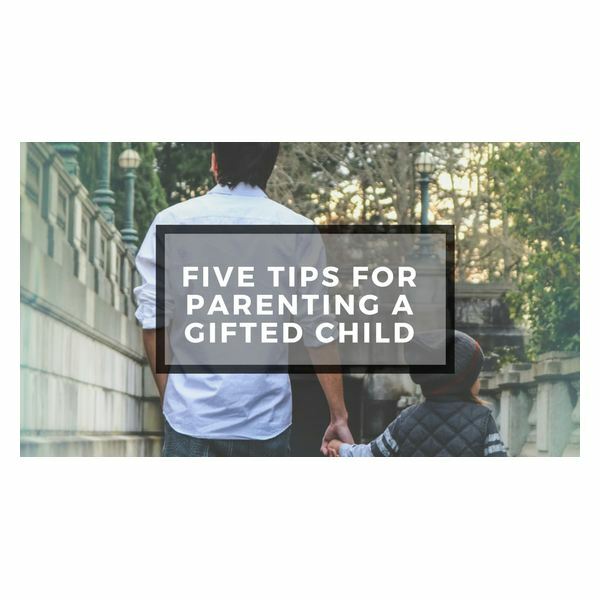 Put something real in the hands of your gifted child. Make sure the tools and techniques are safe for their age, though. Give them some broken electronics, scrap wood or miscellaneous nuts and bolts. Or assign them a task that must be completed, giving them free reign to make a machine that can do it. Dive in and work together. This is good bonding, but beware. Just because you think it would be awesome to build doesn’t mean your kid does too. As a dad, I have definitely spent time tinkering in the garage long past the time my son went inside. Colorful presentations are not only for classrooms and for boardrooms. You can certainly design graphs, images, text and multiple pages to project on a screen. You will only need a smart phone with screen casting ability and software like Google Slides. Making a series of pages is not tricky. Construct a lesson on a career, animals, history or whatever grabs their interest. Cast it up on the living room flat screen and you will be a hero. Learning is your kid’s job and teaching is yours. You have a school full of help, but take control of the process especially with your highly talented student. Gifted Students: Who Exactly Are They?